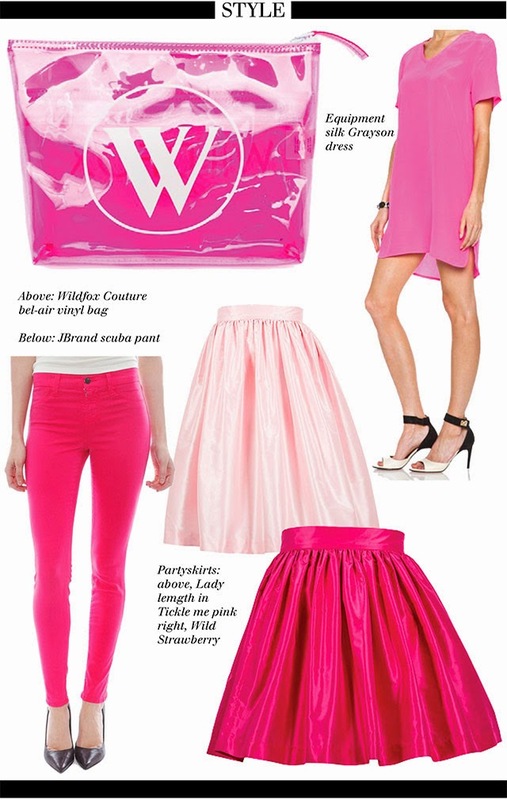 This week we’re fawning over rebelliously bold pink hues like fuchsia and magenta. Equipment’s Grayson Dress in Magenta is a fresh redefinition of the classic t-shirt dress that flatters and surprises. The popular SKOT partyskirt is a Vancouver style essential which manages to be both girly and sophisticated in the same stroke. 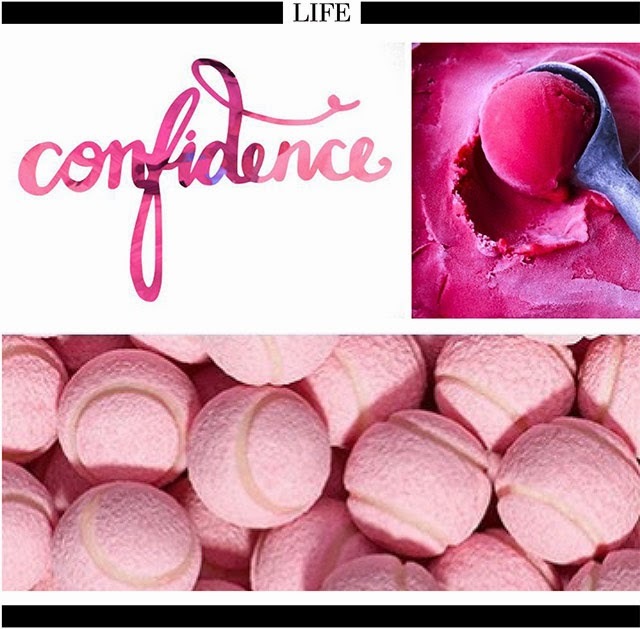 (Try the bolder Wild Strawberry or, for those who wish to make a more subtle statement, the Lady length in Tickle-me-pink.) One of our favourite additions to Blubird’s Spring 2014 collection is J Brand’s Scuba pant in Signal Pink. We can’t guarantee that they won’t cause major fashion envy amongst your girlfriends! Heading on vacation? Give your bikinis the treatment they deserve with Wildfox’s Bel Air Vinyl Bikini Bag, which doubles as a cosmetic case. Sometimes brightening your look can be as simple as choosing the right lip colour. For a day-time look we love the chicness of this pale pink pout and nail combo. Deborah Lippmann's La Vie en Rose polish does the trick, adding just enough oomph without being overwhelming. 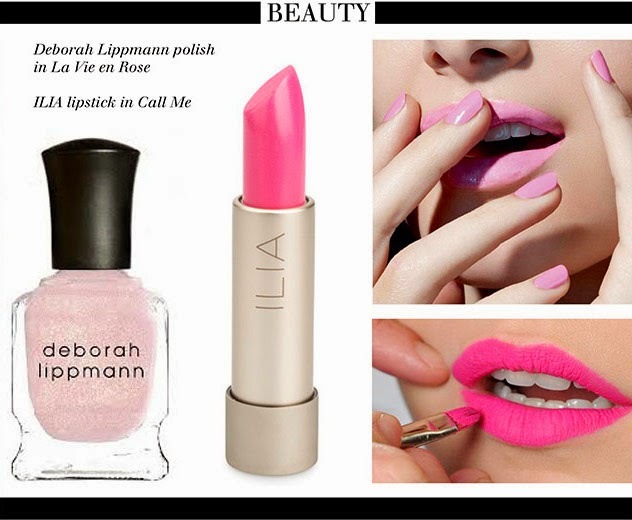 For a girls' night out or social event, you can kick things up a notch with a bold pink lip in a neon or fuchsia shade, like ILIA's Call Me. This colour is always on trend and is the only accessory you’ll need.